Excellence Oyster Bay will be the first adults-only resort of its kind in Jamaica's Montego Bay, located in Oyster Bay, just 30 minutes from the international airport. The waterfront property will feature 325 suites. The first of its kind in Jamaica, the Victorian-style property sets a new standard for all-inclusive luxury and romantic travel. Those familiar with the highest standards of Excellence Group will find the latest adults-only resort in their expansive portfolio to be another idyllic retreat offering smartly designed accommodations, gourmet dining, and unparalleled amenities. Stretching over two miles of Jamaica's most pristine powder sand beaches, Excellence Oyster Bay is the ultimate serene destination where privacy, intelligent design, stunning surroundings, and Excellence Group's signature brand of romance and all-inclusive luxury seamlessly combine. Excellence Group's VP Sales & Marketing, Mr. Domingo Aznar stated, "This is a project of great excitement for us as it is both a proof of evolution to deliver the best Excellence product to date, and our first foray outside of the Dominican Republic and Mexico. With Excellence Oyster Bay, we raise the standards to offer a whole new all-inclusive luxury experience for adults, and we are confident that Jamaica is the perfect choice for it." Built on a private peninsula and bordered by both the Caribbean Sea and a glistening waters luminous lagoon, Excellence Oyster Bay will delight in the brand's familiar amenities such as five-star features in all of the suites, nightly entertainment, daily activities, eight world-class restaurants, nine bars, state-of-the-art fitness facilities, two beachfront swimming pools, a chill-out lounge with rooftop pool, the exclusive Excellence Club, and the brand's famous Miilé Spa. 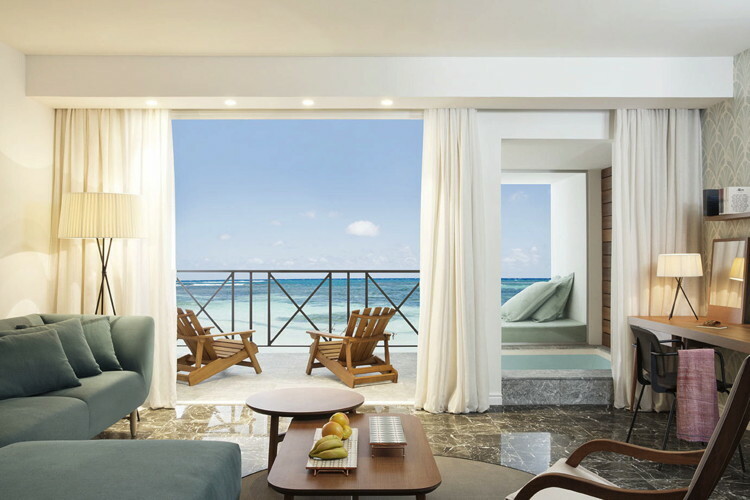 The 315 suite resort will also boast offerings including suites with private pools or rooftop terraces, where 70% of the suites offer breathtaking Caribbean views. The oceanfront beach houses are the latest luxury concept developed exclusively for Excellence Oyster Bay and will impress guests with the most romantic views by sitting directly on the beach and mere steps from the water. Conveniently located only 35 minutes from the Montego Bay's international airport, the resort's location is second to none. The property has already become the island's most buzzed-about project, with the groundbreaking attended by Jamaica's highest esteemed leaders in tourism and government. For those who want to own a piece of paradise in Jamaica, Excellence Group will open exclusive sales opportunities on August 1, 2017, with additional details to be soon announced.